Keep it simple – goes a saying which recommends people to go straight in every day’s affairs and not complicate them uselessly. 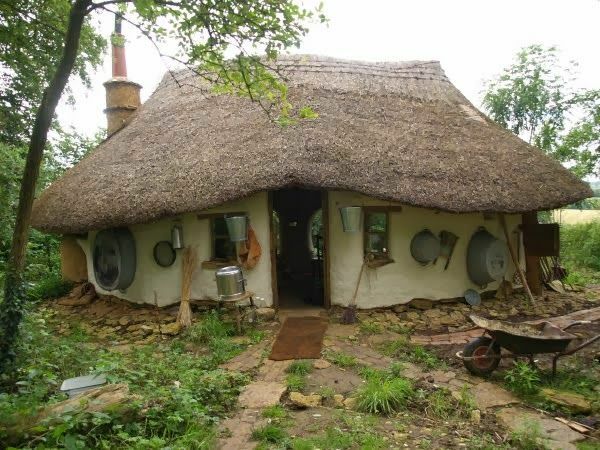 This is exactly what a retired arts teacher in Oxfordshire did in a world of rising real estate costs and oppressive mortgages – he went for something simple, a cob house. He built it with his own hands and only paid 150 pounds to raise it. Here is his very interesting and inspiring story. Michael Buck, 59, had a plot of land that he wanted to build a house on. But not any sort of house, he wanted to use only materials that he could find himself, he would use no power tools and it was to cost next to nothing. It also didn’t require any special permits as it was considered a summer home. So his job was theoretically easy. 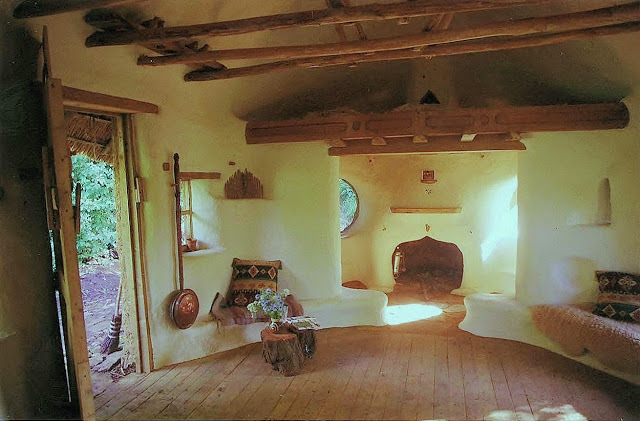 According to Oddity Central, Buck draw the design of the home to build on the back of an envelope, and spent over two years collecting local materials that he foraged or salvaged himself. The floorboards were from a neighbor’s derelict boat, while the glass for the windows were salvaged from a scrapped truck. 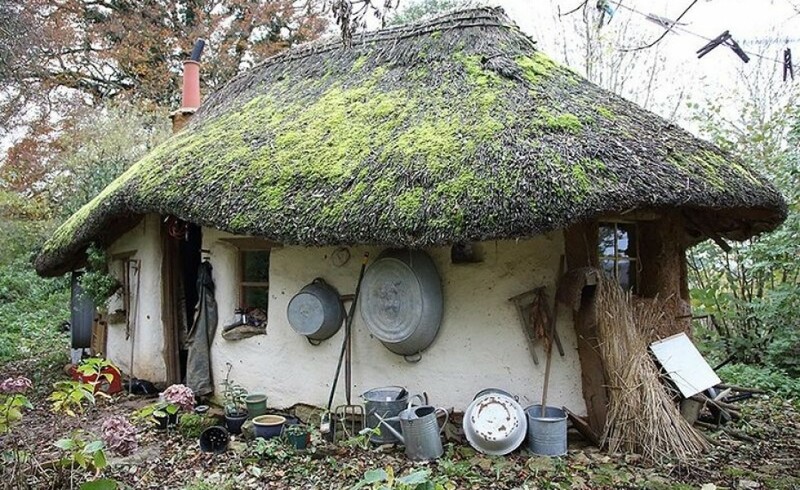 The roof’s thatching came from straw that he gathered and hauled himself from adjacent fields. The house is off-the-grid has no electricity and running water. 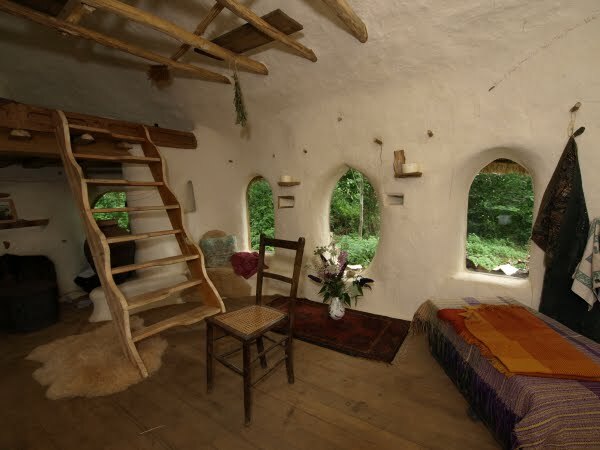 Water comes from a creek nearby and the place is heated by a wood stove, just enough for a well-insulated cob house. Michael Buck uses a compost toilet and a well nearby as a refrigerator. The former teacher says his house is first of all meant to be an example to others. “A house doesn’t have to cost the earth, you only need the earth to build it. I wanted to show that houses don’t have to cost anything. We live in a society where we spend our lives paying our mortgages, which many people don’t enjoy”, he said in simple, yet meaningful words. Buck rented his 300 square foot cob house to a woman who works at a dairy farm in the vicinity. He allowed her to pay the rent in milk!